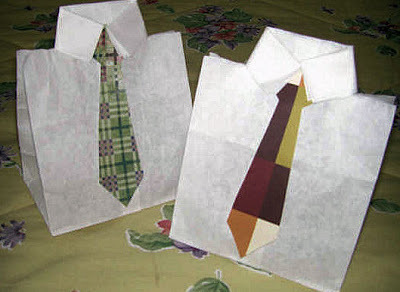 All you do is take a white paper bag, cut two slits in the sides, fold it over and then fold at the slits to make the collar of the shirt, glue on a cute paper “tie” and you have a Fathers Day shirt. Happy Father’s Day, to my wonderful husband and all the great men out there who choose to be Dads! Your photos turned out so cute and I love the bag idea!!!! I love your pictures of the kids! So cute!